That is something we don’t frequently think about in terms of our money. Don’t get me wrong this is completely different from the money mindset we’ve discussed before. 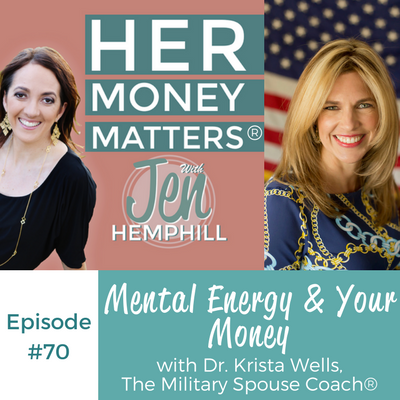 My friend and guest Dr. Krista Wells, The Military Spouse Coach® takes us with her through this interesting discussion. Mark my words, you won’t be disappointed! Go ahead and listen now. What was your favorite takeaway from this interview? 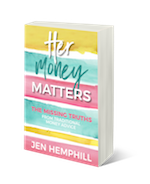 [00:00:08] JH: Welcome to the Her Money Matters Podcast, the preferred podcast by many women across the globe, to help you take control of your finances. 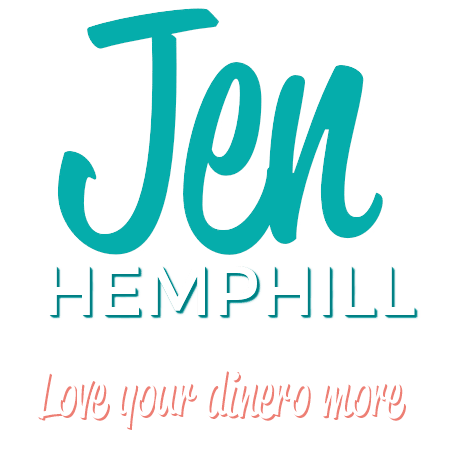 Join me, Jen Hemphill, a motivational money coach and your host, each week as I share with you practical, simple money insights and real life stories by women like you. [0:00:38.2] JH: Oh my word, I cannot believe this is episode 70. But yet, here we are so I want to give you a big thank you for listening, for your feedback and for being a part of this community. It makes it amazingly special and of course this can’t happen without you. I mean seriously, who would want to do a podcast and then no one listen to it? It just wouldn’t feel very good. I’m excited in this episode to share with you my next friend, she’s a dear friend of mine and I know you will absolutely love her. In this particular episode, you will learn the importance of what she refers to as “mental energy” and what exactly it has to do with your money. She’s going share her three money maxims and why she leads her life with them, and she’s going got share a story about what Tupperware had to do with her learning about the stock market and that is a really good story. So stay tuned for that. Let me share with you about Krista Wells. Dr. Krista Wells, she is a PhD holder, is a certified career and life coach specializing in working with people in transitions. She helps her clients find their passion, increase their income and create healthy relationships and as you hear her speak, you’ll see why she’s so good at this. So let’s go ahead and meet my friend Krista Wells. [0:02:18.0] JH: Welcome Krista Wells to the Her Money Matters podcast. I’m excited to have you here. [0:02:22.3] KW: Thank you, I’m excited to be here. [0:02:24.6] JH: Well I need to tell the Her Money Matters community, we know each other. We’re actually friends and I’m excited to have you because one, you’re just a fantastic human being and two, you have a different experience being a career and a live coach that I think is going to shed some light. Because one thing that I noticed when I talk to you, ask me sometimes for advice about money, but yet I learned so much from you, from your tips about money and all that stuff. So I’m really pumped to have you on the show because I know you have a lot of stuff, a lot of nuggets to give. [0:02:58.0] KW: Oh thank you so much Jen and I feel the same way about you. [0:03:00.9] JH: Oh thank you. So you ready to dive in to the questions? [0:03:04.5] JH: Perfect. So let’s start off with how you grew up around money, I want to hear more about your money story. [0:03:11.2] KW: Okay, I grew up, I feel like my parents — I was really blessed because my parents gave me a lot of knowledge about money growing up and I feel like it’s so different when I was growing up from today. Like when I was growing up, I grew up middle class and I had a lot of chores and I had a lot of things that I had to do around the house to contribute financially and mow the lawn and vacuum out my parent’s cars and little things but it really taught me that you had to save up. We got an allowance for doing chores. And in today’s world, I have four young children. I don’t see us talking as much about money with our children or teaching as much as my parents taught me about money so that’s something that I would like to be more aware of and carry on that tradition with my own children. [0:03:56.8] JH: That’s beautiful and that’s great because it is just so, granted with growing up, we have one experience and we want to give this different experience to our kids. We just have to be mindful of it, which you definitely I think you are. [0:04:12.7] KW: I’m working on it. [0:04:13.8] JH: No, we all are. It’s a work in progress, I’m working on it too. So tell me a little bit about the best money advice that you’ve received. [0:04:23.3] KW: Okay now I thought you would think that this was, that I was joking, but some of my best advice has been from you and laugh at that. But it’s really true. I tried to think of something else besides you because I thought, “Well I’m not selling Jen.” But I have to say that I loved the advice that you had given me and it was a few years ago, and I’ll share some overall of my money principles later in the show. But what I wanted to say was two tips that stood out for me that I actually got from Jen, were real simple but I feel like when things are easy to do, they’re also easy not to do. So the first one was to implement an automated savings plan. I had not savings that I had access to. I had some money in stocks and things like that that I would have to or in my home but that’s hard to liquidate for little emergencies. So I didn’t have what I call a “liquid emergency fund” and what I started doing was, I started taking a percentage of my paycheck every month and putting it right automatically into savings. Strangely enough, I did not miss this money because I was still focused on my balance in my checking when I was looking you know, to pay bills and do things like that. So I would look at the shoes and let’s say they were $39, I would just deposit that money right into my savings account and I would tell myself, you know what, In a couple of months if you really are still thinking about the shoes, there’s still going to be another pair of shoes out there. Often times I wouldn’t even miss what it was that I gave up buying immediately for having that feeling of a little bit more cushion with my savings. So those are two things that I did that you gave me both of those tips and I’m still doing that today and it’s been a couple of years, so that’s great. [0:06:36.2] JH: Oh my gosh, that is so amazing. Thanks for sharing that, I think that makes me blush a little bit here. What would you say you do well with money? Because one thing actually I have learned from you, I mean you are a mother of four kids, there’s a lot of stuff that you have to manage money well. But one thing that I learned from you that I think is really important in having financial success or success with your money. Yes, you have to have the money skills, yes, the mindset is a piece but one thing that I have learned from you is the clutter around you and not necessarily like boxes in the house but just decluttering your mind, decluttering things around you because that blocks you from doing other things, such as managing your money better or getting a hold of your money mindset. Tell me about what you do well with money. I digress, but I had to share that. So the next time I go to buy one, I think twice because I think I just donated three or four things from my kitchen that I haven’t used in a couple of years to Goodwill or to Savers and as I’m giving it away, I’m thinking to kind of without, you know, I feel like we should never beat ourselves up but I feel like. Think about what you’re giving away. I noticed my boys were only needing one turtle neck because they only skid a couple of times in the winter, I don’t need to buy a lot for next year, it’s just kind of a general awareness of what you’re getting rid of, what you haven’t used in six months and as you’re purging and getting rid of things, you can become a more mindful shopper. Then the other thing I think that I do well in terms of just an overall strength of mine with regards to money is having a balance between saving, investing and I consider investing to also be like with your savings. So a saving investment might — a third of my mental capacity is with that saving investing or if you’re investing, not using principle. That to me would be that lump, all lumped together with savings and then you’re bending and then you’re earning money and then you’re donating money. It’s like the three components to me on being able to have those three things work together simultaneously, I think that’s really important to have kind of a balanced approach. So a lot of people say to me, my clients say, “But Krista, I don’t make a lot of money so I can’t donate or I can’t give away money yet.” I have some young clients that are just out of college and they have their first job and they’re still living at home and their goal is to move out from mom and dad’s but I said, “You have to remember that if you have a third of your mental energy to giving, it can really help,” if you don’t have the cash to give then I say, “Do volunteer work,” or get into that giving mode because as you begin donating money, great things start happening. A lot of my clients even end up getting jobs that pay more through their volunteer work and that’s not why you do it, you really do it because I think the more you give, the more you receive and it’s just a flow of money that works really well and when I’m giving away more time and energy into volunteer work and donating to… it could be tithing, it could be non-religious, it could be an organization that you really care about but I feel that when you’re putting a percentage like maybe 10% of what you’re making, back into something that aligns with your values, that you really care about, it creates a flow, it shows the universe that you trust more is coming because you’re giving. [0:10:28.0] JH: I love that, and I think you really pointed something out that I think is important that especially when people say, “But I don’t have the money to give,” is starting off with some volunteer work because that’s a form of giving and then once you do that, things will work out, eventually once you do that and start giving back, I think you will be able to find that money because that’s just a matter of prioritizing, it’s a matter of what’s going in your mind at the moment because sometimes we have the money, we just think we don’t have it. [0:11:02.8] KW: Yeah, it could be just 10% of your time or 10% of your earnings. So if you’re not earning a lot, just think about 10% of whatever that amount is and I believe that if you look at your finances and give back, donate 10% to something that you care about over six months’ time, I feel like you’ll see the earnings grow because we can’t become prosperous just from saving and just from giving. So we have to kind of — that’s why I say it’s a three tiered, I call it the money maxims. One is to develop that saving mindset but that’s only one, then the other two are to make money work for you, to earn more money and then the third is the giving. So it’s just one third. [0:11:49.9] JH: I love that that is beautiful. What would you say, so you do amazing — those are some things that you do well with money. How about the challenges? We all have some sort of challenge around money, what is yours would you say? [0:12:04.3] KW: I would say that my biggest challenge with money is that even though I do well with savings and I do well with investing and I really believe in creating a long term investment strategy with short term consideration and then also the giving, I feel like one of my challenges is that as my finances have grown, I feel like there’s a little bit of perception of money that can be negative. So like I’ll still think, I’ll catch myself thinking, “I don’t want to read the book by the woman that owns Facebook.” I had like a resistance to reading that book because I thought, her life’s so easy and she has a nanny and you know? I had this negative feelings towards being a successful mom or to being rich, I thought, you know what? If I really ask myself, there’s some negative feeling there and I have to really — I’m continuing to work in this area but to feel like there’s nothing wrong with being a working mom. There’s nothing wrong with being wealthy. Not have any negative associations with that, not to have negative associates with improving my sales skills. I used to kind of feel like “Oh, his person sounds cheesy and they’re just telling and they don’t care about me, now I thought you can care and you can charge and you can reach a broader audience and that’s all a really good positive thing. I had to let go of that negative feeling of rich successful moms aren’t in tuned with their children type of feeling that I was having in the past. [0:13:32.2] JH: Right, do you think in reflecting back to how you grew up, do you think that there was some sort of impact there from how you grew up around money or do you think that’s just something that has occurred over time? What do you think? [0:13:49.5] KW: It could be, my mom was a stay home mom and she was very involved in things like junior league and she was very, I have two younger sisters that are much younger than me so she spent a long time raising me and then raising to my younger sisters over a huge span of time and she was in the counseling field and didn’t go back to work and decided to just stay home with the kids. So instead of feeling like it was this perfect balance, I thought, well I only see clients on Thursday nights but I feel like every fun school event is happening on Thursday nights. I still wasn’t feeling satisfied. I realized that it wasn’t the grass was always greener, I had to change my negative associations on my negative thinking and be like wow, I’m really blessed to have a flexible schedule and be at some of the school events.” but it’s also great to tell my kids, “Hey mommy has to go give a speech this weekend and I’m so sorry I’m going to miss your game but this is really important work to me which I just did this weekend and I felt a little bit pulse but it felt right. It finally felt right, it wasn’t like a feeling that I had in the past where going out, leaving your children to go make money is a bad thing, it just felt like a win/win. [0:15:28.2] JH: Right, I’ve struggled with that too where I work from home but it is a struggle because with being an entrepreneur, and especially working from home, the hours aren’t necessarily nine to five, sometimes you have to get in when you have to get it in and then I do as well struggle with that guilt. Especially if it’s in afternoons and I have to get something done because the afternoons for me, once the kids get home, that ‘the time with them. It sometimes doesn’t work that way. But like you, I definitely have to shift my mind and remember that I have the flexibility, I’ve been able to do what I wanted to do from the get-go, to be at home, to be able to volunteer at the kid’s school, to be able to go on those field trips. To be able to be there when they get home. Those things that I didn’t necessarily have and of course my parents did the best they could and I respect that, but that was just something that I wanted to do. I love that you share that. How about your favorite money quote? So I didn’t realize it at the time, I was kind of like, “Oh, I don’t know, I kind of want to go buy this Aerosmith cassette tape.” Everyone knows my age now but I didn’t realize it but he was really teaching me about delayed gratification and even about the law of compounding interest and I know any bank today that pays a 50% interest rate but I mean for my kids, it’s something that you could do for your kids, you can tell your kids, “Hey,” — like I give my kids little, if they clean their room, I give them a little ticket and I tell them that they can get an ice-cream with the ticket in the summer when we’re at, we go to a pool club that ice creams. I could say like, “Do you want,” — I can do the same thing just by teaching the principle and it’s really about, do you want this money now? Or do you want it to sit in savings? And then my dad also showed me, if you put a dollar into this fund like when you’re retired, I was like 20 years old and then he’s like, “When you’re 59 years old or whatever, this is like $150,000. If you look at the compounding interest.” So it was something that he taught me right away and then was doing it. I don’t think he put those paychecks into any kind of fund. He was just doing it for me but it was teaching me that your small tiny little pay check can grow if you put off spending. So I thought that was just a really good lesson and the question reminded me, I should do this with my kids when they get a little bit older. [0:18:38.1] JH: That’s awesome. Is that, would that be your best money memory or do you have another money memory that you would want to share? He explained to me that you would want to invest in companies that you care about. So at that time I loved these Forenza jeans and he was like, “You might want to invest in the company,” I think it was Limited that made those. He said, “You want to be, if you like something,” and we invested, back in the day, in Apple. Because he was like, “I love the new Apple phone.” He’s like, “I love Ben & Jerry’s ice cream, let’s invest in Ben & Jerry’s.” Because we would drive up to Vermont and eat the ice cream and my sisters and I were convinced that this is the best ice cream in the world and no one had ever heard of Ben & Jerry’s. My dad’s like, “Let’s invest just a little bit of money into it.” That was just a huge money memory because we were always talking about things like that. [0:20:39.2] JH: What is it that your dad did? What was his career? [0:20:43.7] KW: He was first in the newspaper business and sold the newspaper business and went into just investing. He would buy condos and sell them, get the rent al money from — he had several properties where he was getting rental money and then he had a lot of the money that he was making from the rentals, putting it in the market. [0:21:04.0] JH: That’s wonderful and what a great — I love how he explained that to you because sometimes, especially with investing, it gets just the jargon itself and you were just like, “That just went over my head.” Just be enabled to talk it in a simplistic approach and just demonstrating it how he did was just fantastic. So I love that story. How about your best money decision? [0:21:31.9] KW: I guess my best money decision, besides following that three tiered approach of kind of thinking, “Well some money needed saving, some money you need investing and some money you need to be working for you.” But I feel like the best decision that I ever made was purchasing my first real estate decision. I have to say this, I work a lot with military families and I don’t always think, even though this is my best decision, I don’t always think it’s best to buy a property unless you were going to be in an area for like 10 years. [0:22:08.3] KW: And you know that. For me, it worked out very well to I bought my first condo really young and I sold it six years later for double the amount that I had bought it for. So for me that was a good financial decision. But I have to say that I looked back at my process, what was good about my process I think of buying a condo in my early 20’s was I got a little bit lucky with choosing an up and coming location. But I also feel that I bought a condo that was a very bad aesthetically but I could see it had great potential. It had views, it had a nice, like it was a nice size and I kind of had vision for like ripping out all the pet stained carpets and applying a new color of paint and I planted beautiful plants out on the small little patio garden. I think I instantly really increased the property’s value because it was in such bad shape. So I would say if you’re buying your first property not to think about how it looks in terms of things that are easy fixes. Then I considered having, like I really had a vision even though I was young, I thought, “I need to live in a place that could mature with my age.” So at the time, I was in southern California and some of the more popular places to live in your 20’s were like Pacific Beach and Ocean Beach and the town that I ended up buying in, Del Mar was a little bit older people but I feel that I had vision to know that that’s where property would grow more and I also knew my price point was different. What I could afford was different than what I qualified for. So I did my research, I hired a really reputable professional, which I think is important to have like a good financial adviser and a good real estate agent. I feel that we, if you don’t have experience in that, it’s worth the money to pay somebody else that understands the buying process and can help you with things that you might not see because you’re not a professional and I was really firm with her. I told her like, “I don’t want to spend over $150,000. I want to be in a safe location.” I looked at so many places. SO after she had shown me everything and I began the process of purchasing it. Right away I started improving it with this easy things like paint and plants and recessed lighting, which really changes up a place. Then I repeated that a couple of times. So when I sold that place, I reinvested the, you know, I had sold it for double. So that money that I had sold it for, I put in to another house and I did the same thing. I bought the worst house in the street and fixed the paint, fixed the recessed lighting, fixed the landscaping. So I feel like when you do those things it works. So even though it was a good decision for me, I kind of try to look at my client’s situation and really think about their lifestyle and for me I feel like it made sense to invest in a large home because I have four young children and we’re going to be there for 20 years. Whereas some other clients, I’ll kind of try to direct them in a different way that makes sense for them. [0:25:40.2] JH: Right, and one thing that you said that really struck home for me, because I did, I sold real estate for about three years and one of the things that I noticed was what you said, there’s a difference in what you can afford versus what you qualify for. And that’s something that I struggle with when I was working with clients was some of these clients were pre-approved for more than what really they could afford. So it was just really having that conversation and making sure that they understood that. So I’m glad that you brought that up. [0:26:16.8] KW: Yes, I just bought a new house about a year ago and what I did was when I was looking at houses to buy, I asked the real estate agent to give me a copy of the heating bills and the, I looked at the size of the yard and I asked my — we don’t do our own lawn, but we had a landscape guy tell us how much it would be to take care of that lawn. Because I thought, “I want to know how much it is for the taxes to heat the house, to take care of the lawn.” Because a bigger house is bigger monthly bills. So it’s something to consider when you’re — I feel like it’s better to live a little bit lower than your means, at the same time, to think about your lifestyle and to live your life. Like my dad who was so wonderful with money passed away when he was 69 and I thought, there’s a part of me that feels like you can’t take the money with you so if you invested in your home and it is affordable, it’s also, you know, you have to live your life as well, it’s that balancing act. [0:27:12.1] JH: Absolutely. I can’t agree more with you. Well this has been wonderful Krista. As you know, this podcast is all about making money simple and taking control of it, how would you finish this sentence? Her Money Matters because _____. [0:27:27.7] KW: I would say her money matters because her lifestyle matters and we want to be thinking about our lifestyle and when I think about my lifestyle, I think about I want to have a lifestyle where I’m not stressed and I have money in savings. I want to have a lifestyle where I can be home with my kids and my money’s working for me. I want to have a good lifestyle where I’m giving back and contributing and making donations to organizations that I really care about and putting money into things that matter to me. [0:27:56.0] JH: I love that. That is beautiful. I love that you bring out lifestyle just because sometimes I think we get so stuck in the nitty gritty of I have to, say, have to get out of debt and you’re so focused and people just tend to really cut so much that is not realistic and they don’t consider how they want to live their life and their lifestyle. They don’t really, because they’re just so — their mind is just so focused and on getting out of debt. Or, “Oh, I have to have this savings,” that we forget about the big picture as well. So I’m glad that you brought that up. Well Krista, this has been great, I really appreciate your time and being with me today and sharing all the good stuff that you did, because it was fabulous. [0:28:36.7] KW: Thanks so much, it was great to be here. [0:28:44.7] JH: So what did you think? I hope you enjoyed it as much as I enjoyed chatting with Krista. I do have a take away I want to share with you but as usual, I want to do a quick shout out, and this week, the shout out goes to Vanessa B as she is a listener of this podcast, a member of our free community over on Facebook. And she recently shared with us that she has paid two out of her three credit cards and that is amazing and she’s currently working on paying her third. That is one of her goals by the end of 2016. So I just want to congratulate you Vanessa, you’re doing such a great job. I enjoy you sharing in our community and just getting to know you. You are just a very pleasant, very energetic person in there. I love having you in there. Now, for the take away that I had, I’m sure you probably had someone similar or some others but for me, in my chat with Krista, it was her share on her money maxims. It was more in particular the giving part because when we think of giving, we think of tithing, we think of it having to be monetary. Sometimes we get stuck because maybe we don’t at the moment, maybe our money situation is very tight and I love how she mentions that it can start with volunteering. It can start with donating some clothes or some things that you’re not using. That is a way of giving and what I love about that is that just taking this actions, whether volunteering, donating clothes or other items, it will helps you in your mind create this abundance mentality because you are doing something great, you are doing something good and it elevates that if you’re having those thoughts of “we don’t have that money” or “life is tough”. Just that sense of being able to give and contribute and help someone else will help limit or minimize that. So it’s okay if at the moment there is no monetary donation that you can give but you can do those other things. Then also, what also helps as far as abundance besides minimizing those thoughts, it also allows us to think of the possibilities, right? So yes, we maybe were in a tight financial situation, we can’t give monetarily I can give my volunteer hours, 10% of my time or giving those donations. But it gives us that sense of, there’s other possibilities, it opens our mind and in turn, we’re able to look at our money in a different way. So that will motivate us to do other things, to manage our money better, to maybe find some extra dollars in there that you didn’t think you had before and be able to give that money, donate that money. Whether tithing at church, whether an organization, whatever that may be. So I thought that was good and I know maybe I also want to know that she mentioned how this will allow you to share with, she used I believe the word “a universe”, that you know you’ve got more coming, right? Maybe that’s a little woo-woo and that’s completely okay but what the point I’m getting at here is that yes, it allows — that’s really the abundance mentality, right? So you know that you’re prepared for more to come, you know you’re not limited in what you can receive and it also shows your confidence. It increases your confidence and I think that is so important to have. So that shifts how your mentality, at least for the day or at least for the next hour so you got to check in, make sure you’re still thinking about that. But just thinking that and saying that out loud and really believing that you can make the rest of the day amazing and just think about the words that you’re using, right? So when you’re thinking, “How am I going to make the rest of the day amazing?” It lights you up, it puts a different mood in you than when you think, “Ugh, I spilled my coffee and oh my goodness, the kid aren’t getting out of bed, we’re going to be late for school,” and all those other things, right? I just want to challenge you to think about that because I think with that, it will shift your thinking, it will shift, it will open your mind to the possibilities, not just in your money but in just your life in general. Because it all really coincides. It’s kind of like a domino effect, if you will. So I just wanted to share with that. In the Facebook group, if you’re not in there, join us. That’s at jenhemphill.com/community and share with us your thoughts on this as well. Now, if you’re thinking, "Well yes, I can volunteer. Yes, I can donate clothes or other items,” but you’re really wanting to donate monetarily but you just don’t know what’s going on with your money, you don’t know what you have to work with and you don’t know what you don’t have to work with. A good start, especially if you don’t have a budget in place and you don’t know exactly where your money is going, is to grab my Jump Start Your Money mini guide. It’s free and you can grab it over at jenhemphill.com/miniguide. What the mini guide will do, in a very simple approach because I’m all about keeping things simple and not over complicating. I’m going to take you through an exercise to get you clear as to where all that money is going. Because sometimes that’s where people get stuck and where people don’t want to start because they’re overwhelmed. So I’m going to walk you through it, not just in the mini guide but there’s actually an episode that goes along with the mini guide where I walk you through that. So that is a wrap. Thanks, I want to thank Krista for joining us and sharing all that she had to share with us. Be sure to go to the show notes at jenhemphill.com/70 and you can see where to connect with Krista and see all the show notes as well. So thanks again for listening, I’ll be sure to talk to you next Thursday.